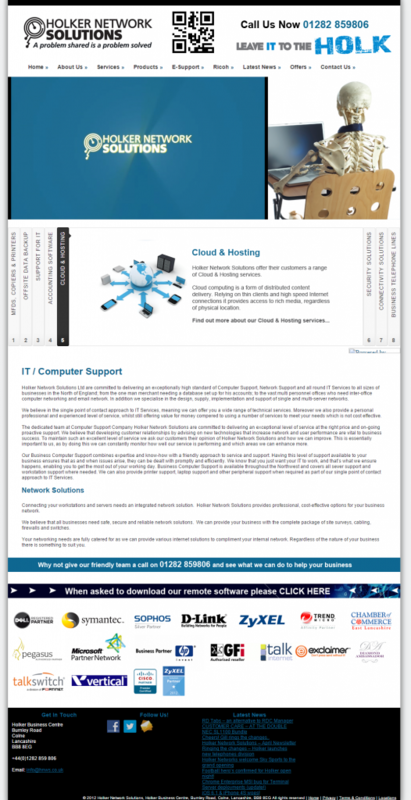 Holker IT, previously known as Holker Network Solutions, based in Colne in Lancashire are a well-established IT Support company with over 80 years of combined experience. Working with small to medium sized businesses all the way up larger public and private sector organisations, helping businesses get the most out of their IT. They are no ordinary IT Support company, Holker IT were named in the Lancashire Telegraph small business of the year awards in 2012 and were also a runner-up in the Pendle Business Awards in 2013. With experienced staff at the helm including Managing Director Matthew Metcalfe and Operations Director Mike Ingham, Holker IT are well known within the Lancashire area as the go-to firm for IT Support. Holker IT originally came to us with the brief of refreshing their website to generate more enquiries which their sales team could follow up on. Upon review, it was clear the website hadn’t been touched for a number of years and had been put together without much thought about branding, usability or optimisation. With this starting point, we focused on ways to not just simply rebuild a website so that it looks good, but instead rebuild the website so that it is visually appealing, converts well and most importantly generated leads through effective Search Engine Optimisation. A lot of our work at Contrado Digital is focused around the Business to Consumer end, working with ecommerce companies and technology startups looking to sell more products or services to the end customer. The business to business world works in an extremely different way which is why we knew that we had to take a different approach with Holker IT. Working with their in-house designer we tailored the website designs provided to ensure they would work in a responsive fashion so the website would be accessible on desktop computers, laptops, tablets and mobile phones. 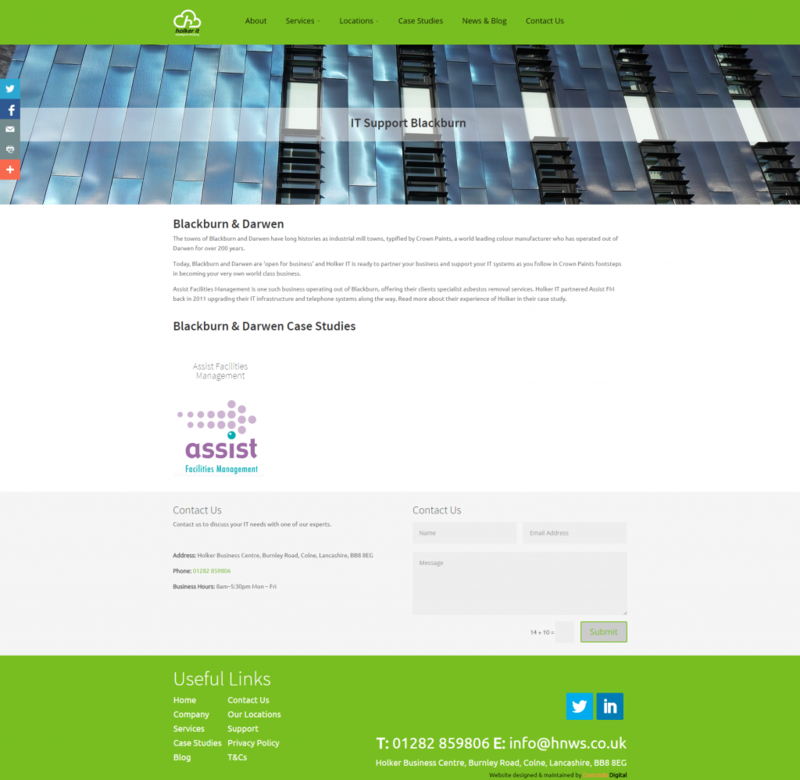 On top of this we worked to ensure the new website would be fantastic for both search engines and users with the aim of driving enquiries for the sales team. 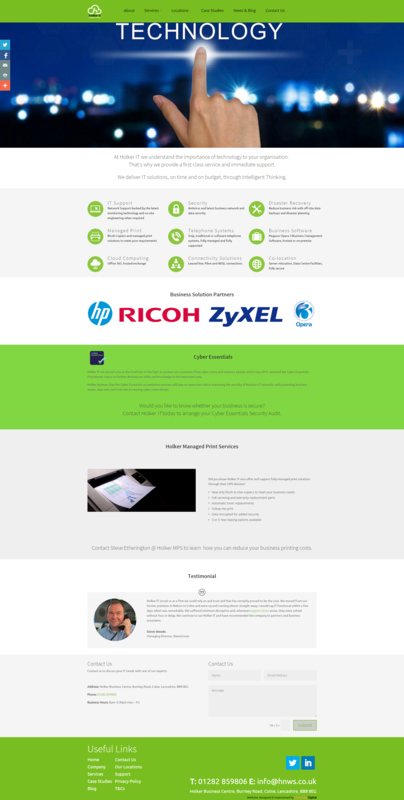 The technology solution we implemented for Holker IT was WordPress to allow their staff to easily update the website as they need. Holker IT didn’t want to have to continually pay a company to make minor changes on the website, instead they wanted to take control of their own website which is why we recommended and implemented a WordPress solution. 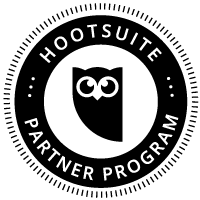 Social Media Links: To track how many people on the website were clicking through to their social media channels. Click to Email Links: To understand how many people on the website were preferring to use the email address to contact Holker IT opposed to the contact form. Click to Call Links: To understand how many people on the website from a mobile device were calling Holker IT directly using the Click to Call tel: technology. This provided Holker IT additional insight into how website visitors were using the variety of communication methods on the website which allowed them to feed this information into their long term strategy. If you would like to see how we can help grow your business online, then get in touch.